Path of Exile on Switch: Will Path of Exile Come to Nintendo Switch? ​​Path of Exile on Switch is one of many games fans are hoping to see appear on the console. The ongoing action role-playing game has amassed a large following for its enjoyable gameplay cycle with frequent meaningful content updates, and many hope to see it appear on the latest Nintendo console. 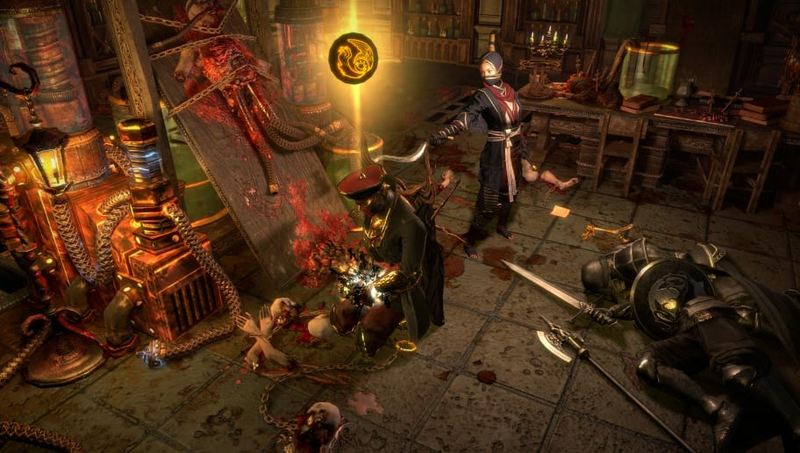 Originally released on Microsoft Windows after an open beta period, Path of Exile saw its first port to a console in August 2017 when it was released on the Xbox One. Path of Exile will soon release some time this month on the PlayStation 4, with a still as-of-yet unconfirmed exact release date beyond mid-March. With three major platforms covered and a major expansion pack on the horizon to ​prepare for, excited fans may hope to see it come to the Nintendo Switch. For the near future, Path of Exile will not come to the Nintendo Switch. There has been no official news or announcements regarding a port. The Nintendo Switch has improved on previous Nintendo consoles in relations with third-party developers and has seen a few major titles ported for a Switch release, both from major publishers such as Blizzard's Diablo III or id Software's ​Doom Eternal and from indie developers such as Toby Fox's ​Deltarune and Team Cherry's ​Hollow Knight: Silksong. Thus, a port for Path of Exile is not too far out of the ordinary, even given the Nintendo Switch's rather small library of Mature-rated games. Images courtesy of Grinding Gear Games.